Lets weigh the fruit - can I have a pound of apples. These delightful wooden weighing scales are brightly coloured with a moving gauge. 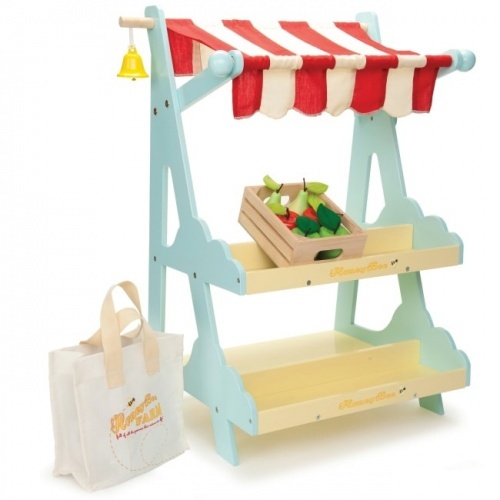 It is the perfect addition to the market stall or for weighing out your pretend food. Comes with a wooden apple split into pieces and Velcro's back together.